There is one overarching goal that touches everything we do here at Spoonflower: inspire you, our design community and continue to challenge you to keep creating and growing. 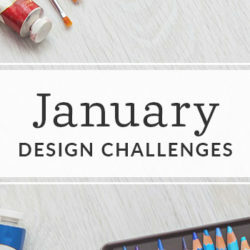 In April of 2016, we made a bold move, changing the format of our beloved Design Challenges which we had been doing consistently every week since 2009. This reimagining came as a result of waning interest and participation, so we decided to shake things up a bit, switching from weekly to a monthly format. Each month focused on creating designs for a specific application, determined by that month’s chosen brand partner. We loved seeing the Japanese Garden kimono designs you created for Sprout, the quirky “Double Take” designs you whipped up for Betabrand, the Ocean designs you made for Bucketfeet, and many others. We sincerely hope the experience of designing with a specific theme and application in mind for a real-market “client” helped you grow as an artist creating not just for the fun of it, but actually for the purpose of bringing that art to market for long-term success. Opening inspiration doors, promoting community connections, helping to elevate and cross-promote your brand are core competencies that we intentionally foster within our community and embody a mission that we value immensely. Another goal of ours at Spoonflower and something that’s integral to who we are and what we stand for is listening to our community of artists, making you part of our internal conversation and present in the decision-making process. 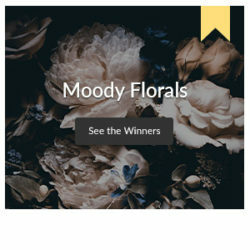 We know that many of you missed the varied and plentiful opportunities that the Weekly Design Challenges extended, such as the opportunity to win and be recognized more frequently, a surplus variety of themes to be inspired by at any given time, and the exposure that our weekly contests brought to your design portfolio that yielded more design-centric conversation and potentially more sales. While the Weekly Prompts inspired many of you, they lacked the competitive aspect and ability to vote. 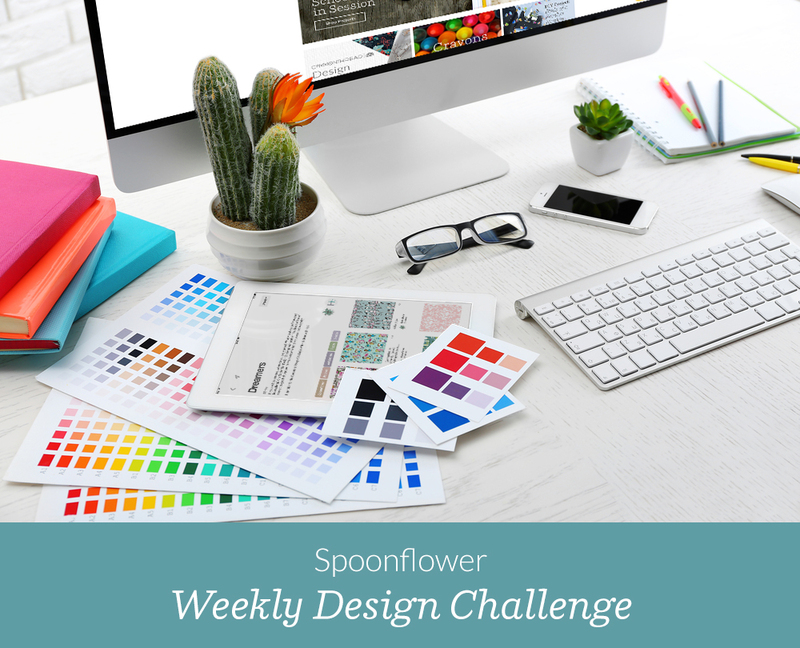 With Autumn and the holiday crafting season upon us, we would like to announce the official return of a classic tradition: the Spoonflower Weekly Design Challenge, in its original format. 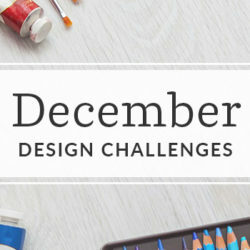 With at least one month in advance, you’ll now have a handful of different weekly themes to choose from at any given time so there’s always something new to design, and a new challenge open for voting each week. While there may still be the occasional brand partner for a challenge, we will return to singular themes without a partner. Now that Spoonflower has welcomed two new sister companies into the fold, weekly prizes will now expand to include Spoonflower credit, and possible Sprout or Roostery goodies as well. Thanks for your patience with us and we continue to listen and learn to continue to evolve and nurture this amazing community we’ve built together. Stay tuned for an official announcement of October’s Design Challenge themes (which will all have a tea-towel twist!) timeline and prizes on our blog next Wednesday. Thank you, thank you, thank you!!!!!!!!! I’ve really been missing these, and definitely enjoyed the (teeny tiny!) chance that one of my fabrics would get in the Top 10, or (dream big!) win something. It was a real highlight of my experience with Spoonflower, and even if I couldn’t enter, I loved to vote. Thanks so much for listening to the community and bringing these back. Awesome!!!! WOW!!!! Thank you so much! I know I did my share of complaining! So excited about this! Maybe I’ll start creating weekly again! Thank you for listening to us. Yaaay! I think the weekly format is great! Thank you soooooo much! I have really missed the weekly contests because I have learned so much from them and I compete with myself to make certain I keep improving. But I would also like to say thank you for those daily challenges you gave us last winter where it really stretched me and was so enlightening. Hope the fourth quarter is fantastic for Spoonflower! Hurrah! Thanks so much for listening to us and returning to the weekly contests! Even though I rarely had time to enter (and probably won’t this fall), I loved voting in them and seeing what everyone came up with – so glad they are back!! Thanks for hanging in there, Kelly! We hope you’ll take some time to create new, awesome designs this season! As a customer, not a designer… Thank you. I used to check every week to see the new theme and vote on what moved me. Exciting! Does this mean family members of Spoonflower employees can participate again? ! 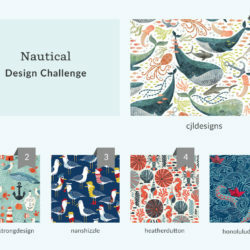 Hey Lindsay, unfortunately Spoonflower employee family members were never eligible to participate in Weekly Design Challenges, which is a stipulation that still stands. Thank you so much for listening and responding! I’m excited to have the weekly contests back! Feels good to have them back! Thanks for your patience, Karin! Yay!!! I like the weekly contests. Definitely allows for more exposure to our designs and it is fun voting too. Good for you, SF, thanks! Are we able to vote again on the designs? I hope so. Missed the weekly voting. yes! Voting will go back to the way it once was, along with weekly winners and prizes. Thanks Spoonflower! So excited about this!!! I wish there were shorter links we could share around for the challenges. Its so ugly to share something like https://www.spoonflower.com/contest_voters_temp/new?contest_id=383 when we share it on social media. Plus, there should be share on social media button on the page, but there isn’t one.